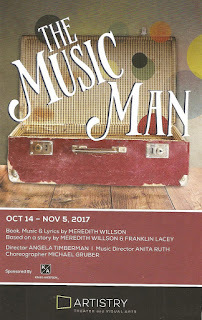 Theater-loving friends, we adored The Music Man at Artistry MN (closing November 5th). It's selling like hotcakes (or band uniforms) but you can squeeze it in, we highly recommend it! "if you're looking for a good old-fashioned heart-warming, foot-stamping, enjoyable musical, head down to Bloomington." "We learn that not everything needs to be taken so seriously; sometimes we need to be tricked into seeing life a little differently; and happiness can be more important than steadfast decorum." "With a well-made musical, it's tempting to sit back and let the music and story work their magic, but director Angela Timberman has done something more. I'm not even sure what it is, but I was noticing nuances of the show I'd never paid much attention to before." 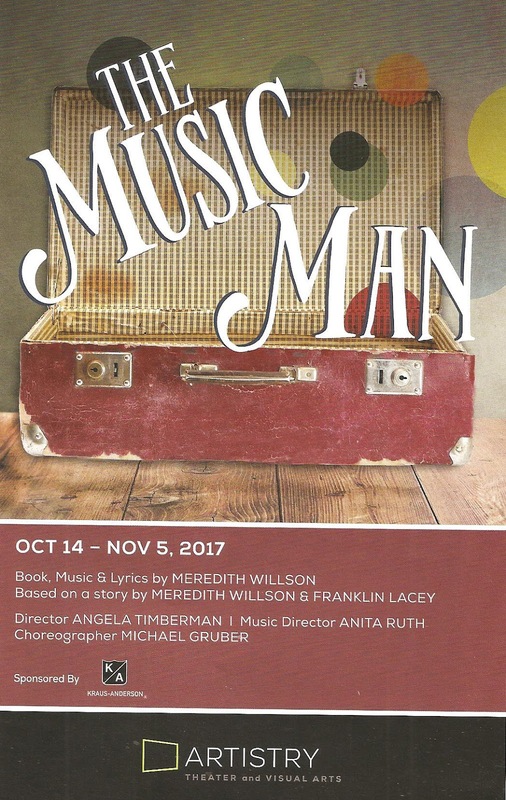 "This production of The Music Man, directed by Angela Timberman, was able to deftly straddle the line between an intimate show and a musical with big production values in a way that made it the best of both worlds."